Shop at Amazon and part of your purchase will go to RGCC. 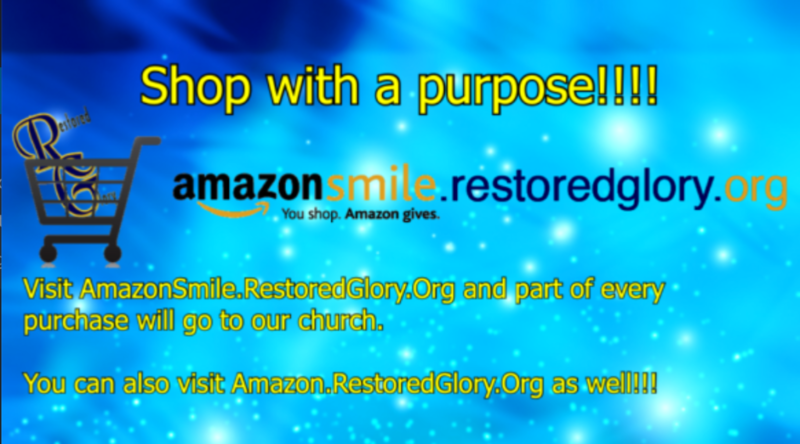 Go to: Http://Amazon.RestoredGlory.Org and have part of your purchase donated to Restored Glory. You can also go to Http://AmazonSmile.RestoredGlory.Org as well.